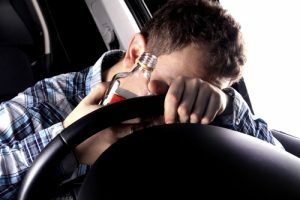 People often use the term “DUI” when they talk about drunk driving, but Michigan law calls this offense an “OWI” or Operating While Intoxicated, and it’s not just for alcohol-related offenses. You can also be charged and convicted of an OWI if you drive while under the influence of illegal drugs and certain prescribed medications. There are also several different types of OWI laws in Michigan depending on the type and severity of the offense. If you’ve been charged with OWI: Operating a Motor Vehicle While Intoxicated in Michigan or Macomb County, please contact Michigan Justice at (586) 221-4100. Consulting with an experienced lawyer from our firm can better ensure that your rights are protected. OWI accusations must be handled with the utmost attention to detail, and that’s what we do best at Michigan Justice. Goran Antovski is Michigan Justice’s lead criminal defense attorney. An accomplished defense lawyer, Goran has handled many cases for and with the Macomb County Prosecutor’s Office. He and the Michigan Justice team will rigorously and steadfastly defend your rights and work to provide the best possible outcome for your case. Operating with Any Bodily Alcohol Content Under Age 21 (Zero Tolerance). Operating While Visibly Impaired is a lesser offense to a regular Operating While Intoxicated charge. It is usually used in plea bargaining, and the license restrictions are much more favorable than under an OWI charge. However, unlike OWI, which is based on blood alcohol tests or a police officer’s observations, an OWVI charge can be based on other peoples’ observations of your driving. the person drove with less ability than would an ordinary careful driver. The person’s driving ability must have been lessened to the point that it would have been noticed by another person. A first-offense OWVI conviction is a misdemeanor and carries penalties including up to a $500 fine, 93 days in jail, and up to 45 days of community service.Your driver’s license will also be restricted for 90 days, plus possible vehicle immobilization, and a Driver Responsibility Fee of $500 for two consecutive years. A second OWVI offense is also a misdemeanor and carries a possible jail-time of 5 days to one year, fines of $200 to $1,000, 30 to 90 days community service, and mandatory vehicle immobilization. A third OWVI conviction is a felony with a possible prison sentence of one to five years, fines of $500 to $5,000, 30 days to one-year probation, 60 to 180 days community service, and mandatory vehicle immobilization. Operating While Intoxicated means that alcohol or drugs in your body substantially affected your ability to safely drive a car, or that your Blood Alcohol Content (BAC) was above 0.08% as measured by a chemical test. First OWI Offense: up to 93 days in jail, a fine of $500, 360 hours (45 days) community service, possible vehicle immobilization and ignition interlock device during probation. Second OWI Offense: From 5 days up to a year in jail, up to a $1,000 fine, 30 to 60 days community service, mandatory vehicle immobilization for 90-180 days and possible ignition-interlock device. Third OWI Offense: A felony with a one to five-year prison term, a $500 to $5,000 fine, 30 days to one-year probation, 60-180 days community service, possible ignition-interlock device during probation and mandatory vehicle immobilization for one year. One-year license suspension, vehicle immobilization, ignition-interlock device installation, and more. Up to 45 days of community service. Your driver’s license will be restricted for 180 days plus vehicle immobilization, interlock-device installation, and more. A $250 fine and 15 days of community service. However, if the driver’s BAC is above .08%, the offense is the same as a regular OWI with up to 93 days in jail and a $100-$500 fine, plus a Driver Responsibility Fee of $1500 for two consecutive years, and a one- to six-month suspended license. Drunk driving charges are serious: a conviction can subject you to fines, time in jail, and a suspension of your driver’s license. At Michigan Justice, we fight for our clients using comprehensive and thorough criminal defense strategies. If you need assistance in Macomb County, Michigan, please don’t hesitate to contact us at (586) 221-4100. It is important that you have a lawyer ready to protect your rights and your freedom.